Jusleen Kaur is a Sikh American and community activist who attended the Democratic National Convention earlier this month, working on the Specialty Media Team focusing on South Asia. She has graciously offered to document and share her experience. You can follow Jusleen on Twitter at @JusSodhi. Two weeks ago, I made the trip from our nation’s capital to the Democratic National Convention (DNC) in Charlotte, North Carolina. With each Obama bumper stickerthat I passed, I became more excited about what the DNC had in store for me. Bill Clinton, Julian Castro, Sandra Fluke – but equally as exciting for me was unexpectedly meeting a slew of warm, exuberant and civically engaged Sikhs. After practically chasing down a few of these fellow Sikh brothers and sisters, I found out that there were 26 Sikh delegates from California! Harpreet Singh Sandhu, a delegate from the Bay Area was instrumental in rounding up this impressive number but he was aiming for – wait for it — 100 Sikh delegates! Ambitious, I thought – but that’s just how we should be! Jasdeep Singh Mann from Orange County, California said “In the spirit of being a Sikh, I am a Democrat.” Mr. Mann, I couldn’t have said it better. This election, as a Sikh who believes in “sarbat da palla” — the well being of others and the progression of society — I too am a Democrat. I believe that the Democratic Party, like myself, will fight tooth and nail for our neighbors just as much if not harder than we will for ourselves. Pro Women: increased funding for Violence Against Women Act, giving control to women over their own bodies, and banishing gender discrimination in pay and health insurance costs. Pro Progress: the current President issued an executive order to repeal the Bush restrictions on federal funding for embryonic stem cell research, and brought in new safeguards to clear the skies — preventing 11,000 premature deaths, 4,700 heart attacks, and 130,000 cases of asthma each year. Hate Crime Law Expansion: includes sexual orientation to further prevent hate crimes against innocent people. Forcing Them to be Honest: requirement for health insurance plans to disclose how much of the premium actually goes to patient care. Keeping Us Responsible: financial reform law requires lenders to verify applicants’ credit history, income & employment status to ensure the strength of our financial transactions. Personally, my religious beliefs lay parallel to my political alignment, and my political alignment resonates strongest with my being an American. When I saw Lilly Ledbetter talk about restoring basic protections against pay discrimination for women, I recalled Guru Nanak standing up for women’s equality. As Sikhs, we should stand right next to them. Having had a strong interest in civic engagement from a young age, my week at the DNC reiterated what I’ve known all along: being active is the key to being included. Being an advocate, activist or simply calling your elected government official is crucial in being included when policy decisions are made. The recent signing of the Workplace Religious Freedom Act in California — a law that will protect Sikhs from employment discrimination — is an example of the value and strength of community engagement. Though our religious articles of faith may make us stand out, we mustn’t make that a reason to stand apart from our greater Asian American Pacific Islander (AAPI) community. The Obama administration has demonstrated a serious interest in the well-being, progress and success of our community. Take the opportunity to get involved in regional action summits, and help amplify the much sought-after AAPI vote. When you see the current administration’s accomplishments on AAPI issues, it becomes obvious how much we as a greater group have in common. 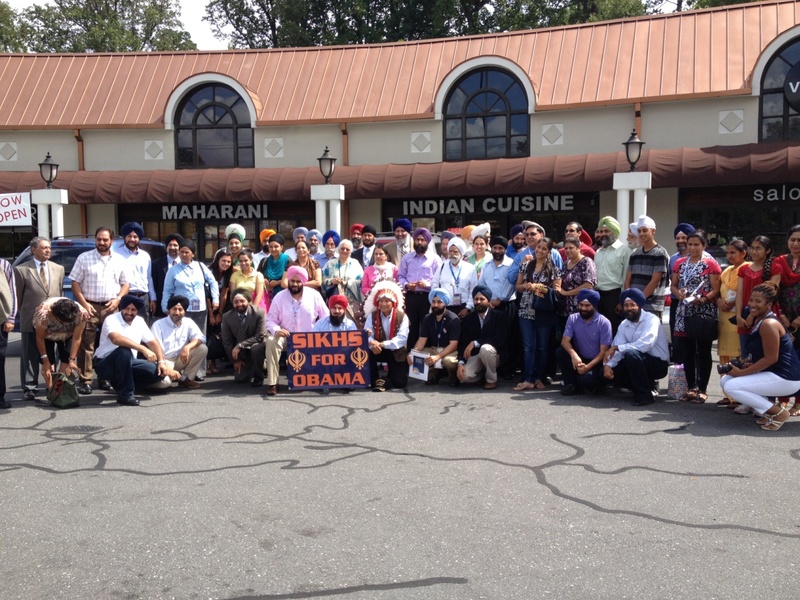 For example, at the DNC’s AAPI Caucus, activist and attorney Ramey Ko said that even he was shocked to hear the statistics on hate crimes and school bullying against Sikhs. Because of the hard work that various Sikh organizations have done to bring this to the attention of the AAPI Initiative, this government program will now work to alleviate these issues. In fact, the Senate will be holding a historic hearing on hate crimes this coming Wednesday. Whatever your political affiliation may be, as a community we should be getting involved in any which way we can. If we want to be anything like the saint soldiers and trailblazers of our Guru’s times then everyone must do their part! The government provides ideas on their website at http://www.serve.gov. When religion and politics intersect, more often than not it is associated with stifling progress. 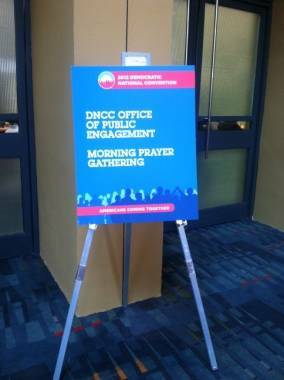 However, at the DNC’s faith council meetings it was anything but that. 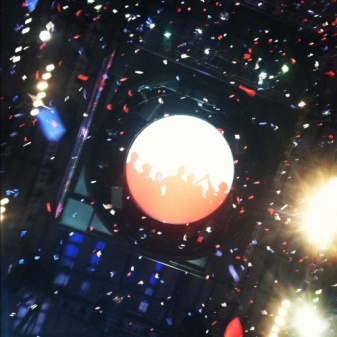 Here our commonalities were celebrated, our differences promoted and embraced. We reiterate that, as Americans, we are in this together, for the common good and collectively we can succeed together. As a person of conscience and faith I urge all of you to challenge rhetoric, be responsible for your neighbor and be active so that your voice of reason can be included. As a child of immigrant parents, my heart swelled with pride when Julian Castro made his keynote speech. His story of opportunity meeting success in light of struggles is one that many of us can relate to. I’m confident that it’s only a matter of time that we will see a Sikh speak on an influential platform that will be equally as inspiring to Sikhs and non-Sikhs alike. Growing up, I saw people at Gurdwara touch the ground and sweep their hand over their head and then to their heart. Years later, I unconsciously do this at Gurdwara or sometimes when I am leaving my parents home in Ohio. By doing so, I feel mentally and emotionally connected to the memories and love I’ve felt in those places. When I was leaving the arena on Thursday night, I was moved to do the very same thing. In that unconscious motion, I encapsulated the indescribable chardi kala and sarbat da palla I felt at the DNC which I hope to carry with me forever.